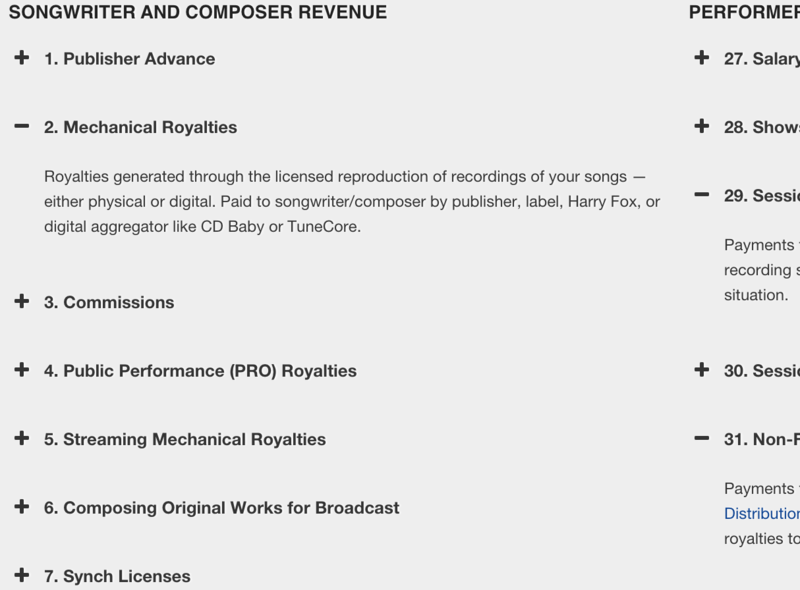 How are recording artists paid when their fans buy downloads on iTunes? How are songwriters paid when their music is played on Pandora? Since our founding, Future of Music Coalition has provided musicians, managers and labels with the in-the-trenches details about how performers, songwriters and labels are each compensated when their music is either streamed or downloaded on an array of music services. Since 2007, we have organized and presented this information in various ways, through infographics, charts, spreadsheets, presentations and quizzes. The resources listed here are a tangible reflection of FMC’s mission; helping musicians and songwriters understand the mechanics of the emerging music/technology landscape, how they are compensated, and how they can participate in this marketplace. Music and How the Money Flows. 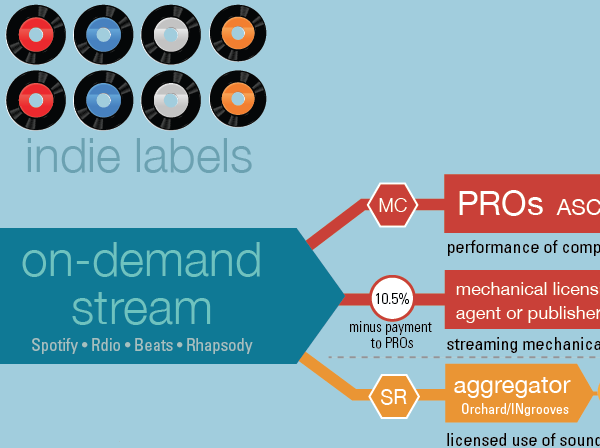 These infographics illustrate how the money moves to performers, songwriters, record labels and publishers when music is digitally sold, webcast, or streamed via on-demand services. Last updated March 2015. New Business Models spreadsheet, which gives specific details about if/how performers, labels and songwriters are compensated under various models. Last updated March 2015. Music and Money Quizzes. Ranging from “easy” to “expert”, these multiple choice quizzes are a fun way to test musicians’ knowledge of common uses of copyrights and sound recordings, and to give us – as advocates and educators – a way to identify concepts and realities that are the most confusing. Take a quiz today! Last updated June 2013. 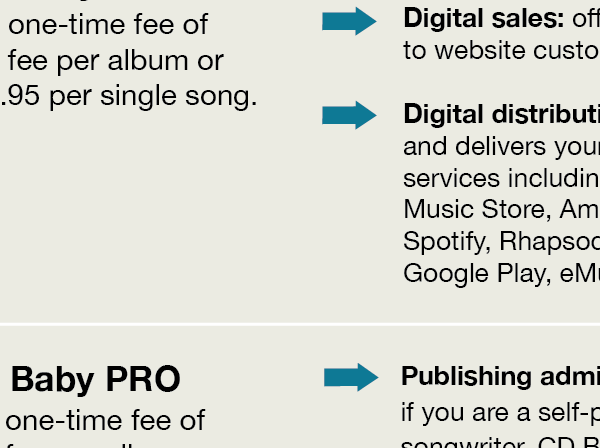 Digital Distribution infographic, which explains how independent and unsigned musicians can use services like CD Baby and TuneCore to get their music into digital music services and streamsing platforms. Last updated April 2015. 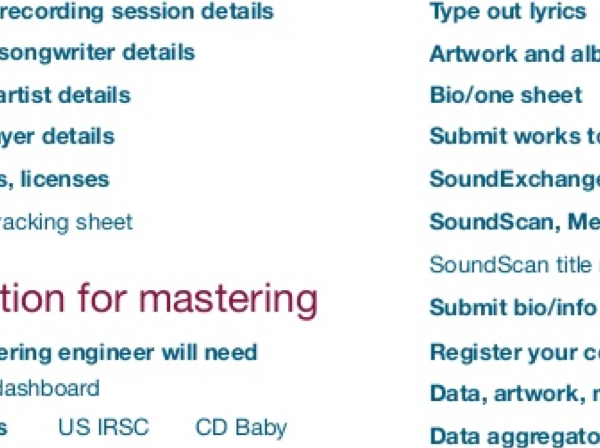 Metadata for Musicians. 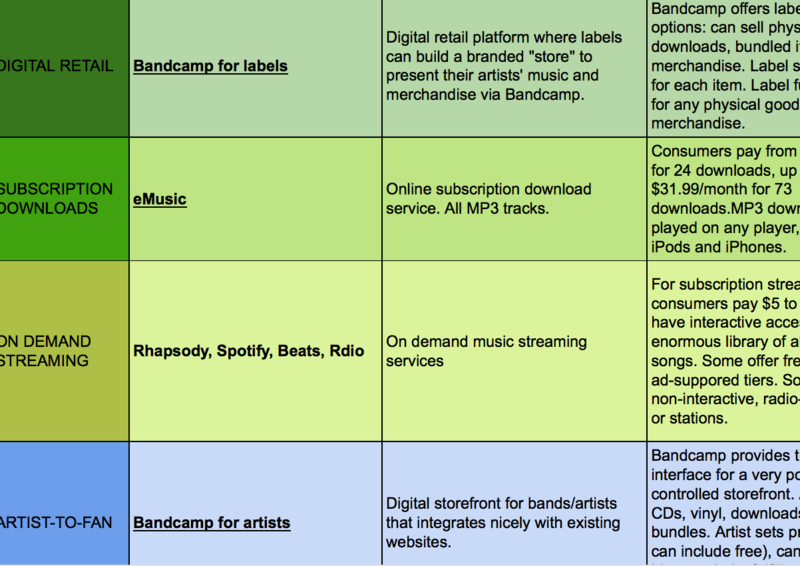 The slide decks from the Metadata for Musicians workshops that FMC hosted at the 2014 Future of Music Policy Summit in Washington, DC. Presentation 1 describes the text and data collected and organized from the studio recording to release date. Presentation 2 outlines the data the powers attribution, discovery and payment. Last updated November 2014. Artist Revenue Streams. Since 2011, Future of Music Coalition has been managing a multi-method, cross-genre examination of musicians’ revenue streams and how they are changing over time. 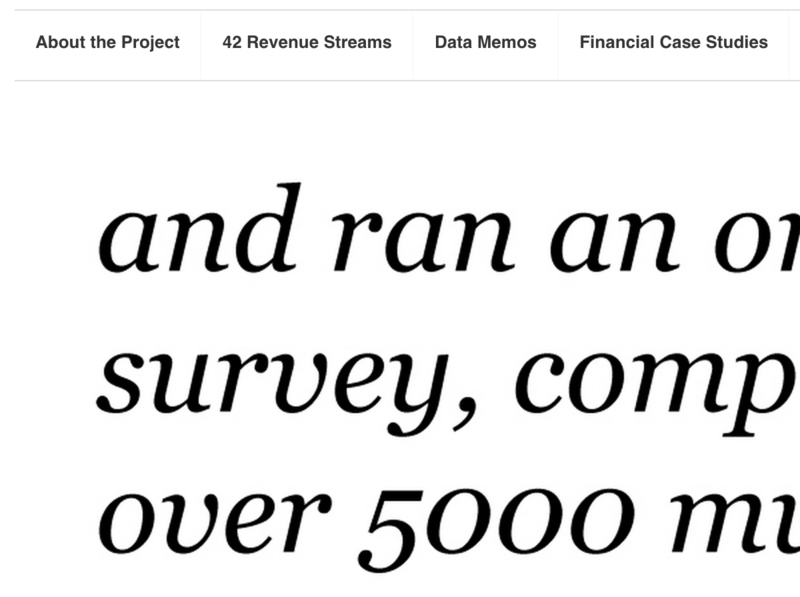 Visit the research project’s site to review data memos and financial case studies. Got a correction? Do you see something that needs to be added or deleted on any of these materials? Contact kevin [at] futureofmusic [dot] org (subject: Comment%20on%20New%20Business%20Models) and we’re happy to fix it.